Old Arthur’s Barbecue Sauce is an American original first crafted by a former slave, Arthur Watts, more than 160 years ago. 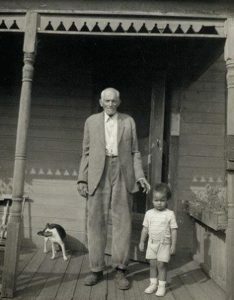 The recipe and its unique flavor was originally created by patriarch, Arthur Watts, and passed down through the Watts family over six generations. 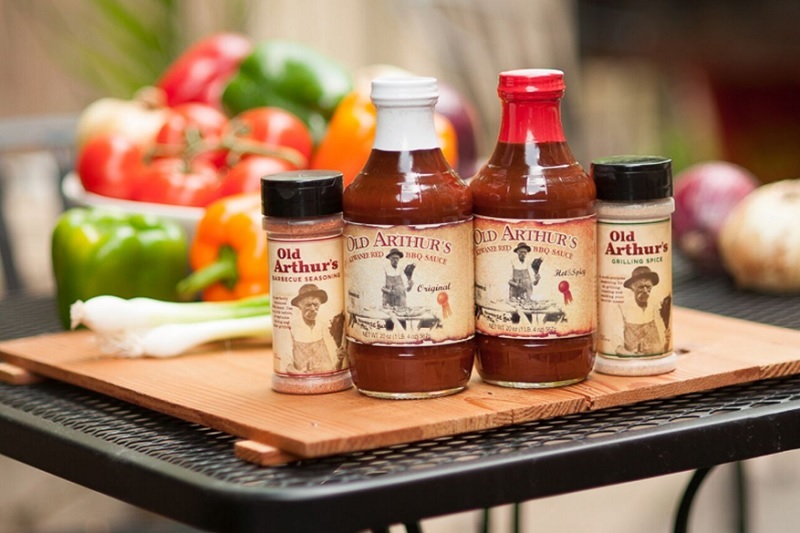 With Old Arthur’s, you are experiencing authentic barbecue sauce as it was first enjoyed in the early United States. We’re happy to have Old Arthur’s Barbecue Sauce at the Oak Brook Artisan Market at Oakbrook Center on Sat & Sun, May 18-19, 2019. This 2-day outdoor market showcases the Midwest’s finest artisans in fashion, food, home goods + art. • Old Arthur’s Barbecue Sauce – Original – Rich and tangy with a hint of hickory and just the right amount of kick, it enhances the flavor of pork, beef, chicken, and fish. • Old Arthur’s Barbecue Sauce – Hot & Spicy – The same bold flavor as the original, but made for those that enjoy a hotter barbecue sauce. Use it in all the same ways: as a baste, to sop, mixed in a slow cooker with your favorite meat, or to top off any grilled, roasted or broiled foods. • Old Arthur’s Bootleg Dry Rub – A signature blend of bourbon, brown sugar and Kona coffee, herbs and spices that will take your favorite steak or chop to the next level. One could literally say a full century’s worth of effort – and then some – has gone into the refinement of this sauce. Arthur was born a slave in 1837, and his primary task from the age of 6 was tending the cooking fires on the estate that bonded him. From this early age, Arthur continuously experimented with the freshest natural ingredients available to him to perfect his sauce to complement the meats he prepared over an open pit. recipe, and they are proud to be able share this important piece of history for your pleasure.